While on Necker Island, Sir Richard taught us that despite the demands of running a successful business, balance can be achieved. He stressed the importance of balancing all aspects of your life, to include your work, family and leisure time. As a woman entrepreneur, that’s not always easy. We’re so often told that we “can’t have it all” and be a mother. Well, I’m living proof that it’s not only possible, it’s gratifying! I watched my grandparents run a business together for more than 50 years, and a key to their success was the ability to balance the other, equally important parts of their lives. Sir Richard reminded me that being successful means more than just running a successful business— it’s about running a successful life. I was inspired by Sir Richard’s willingness to talk frankly with us, and how he generously donated his valuable time. He answered our questions—and we had a lot!—spoke about his own experiences in great detail and challenged us on occasion. Through his stories, he reminded us how important it is to give our time to fellow entrepreneurs, as well as those in our communities and the people we lead in our businesses. I even took his advice about using an “inspiration vacation” to create some team-building time with my staff. It was great to break away from the office for a bit and return with new energy and enthusiasm. It’s true— the camaraderie and chemistry we could create in a non-work atmosphere makes a big difference. Growing up as a tomboy, I was used to playing with boys. I competed with them constantly, and often won. I still compete with them today as an entrepreneur. 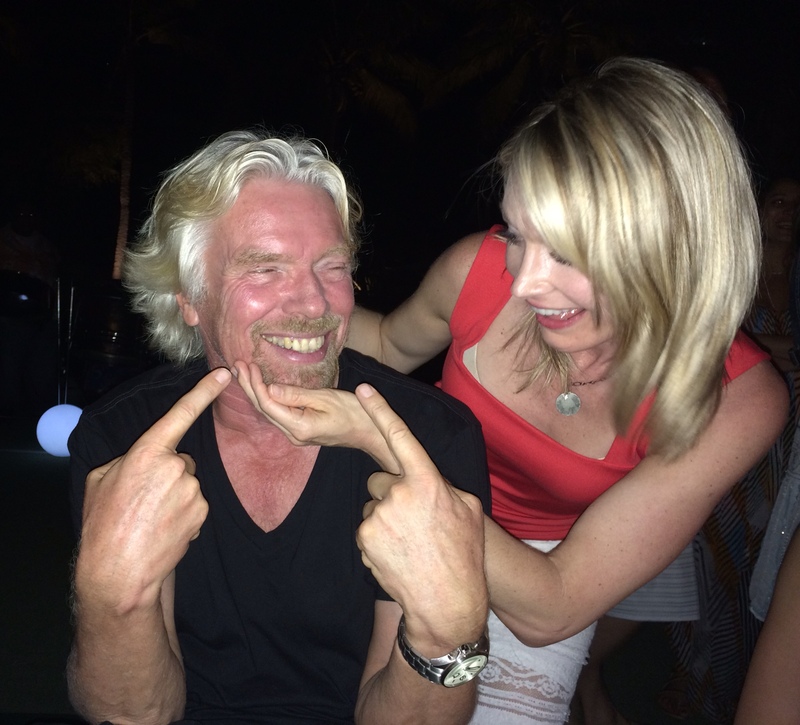 Sir Richard demonstrated that even among the most successful businesspeople, there is still time for playing. During this incredible trip, I did things I never imagined I would do: I flew shotgun in a tiny plane to Tortola in the British Virgin Islands; I raced a sail raft in the Caribbean Sea to Mosquito Island, slowing down just long enough for Sir Richard to jump aboard; I danced on a table in glowing LED clothing; and I flew high when kite-surfing and plunged deep when jumping off a cliff. These experiences pushed me to go further in life, and reminded me just how important it is to make time for fun. We need it to ground ourselves, recharge our batteries and get a fresh perspective. I’m ready to keep zig-zagging. I really enjoyed the submission, its encouraging and good to learn that it rewarding to have fun once a while.